Home > tbirdbrew > thunderbird > What's the word? 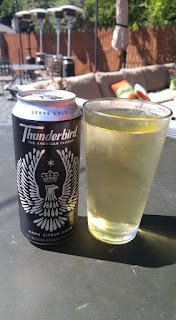 Thunderbird Hard Citrus Brew! What's the word? 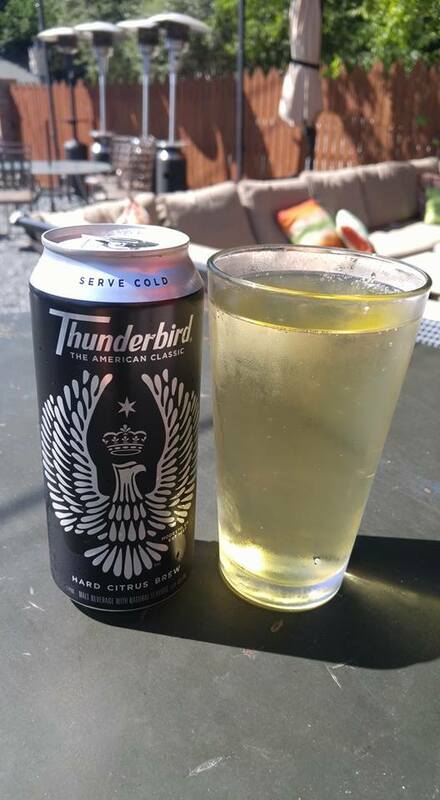 Thunderbird Hard Citrus Brew! What's the word? Thunderbird is back in black! 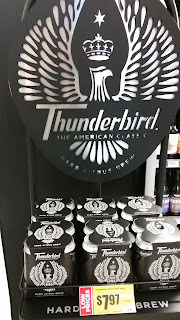 It was brought to my attention the other day that there is a NEW variety of Thunderbird starting to hit shelves, Thunderbird Hard Citrus Brew! We have been sitting back and waiting patiently for the E & J Gallo Winery to introduce a new bum wine variety to their already vast product line and now it's here! The details on this new release are still slim at the moment as I haven't been able to find much about it on the web yet. It does have it's own page on Untapped with only a few reviews that are both good and bad. I am waiting for these to start hitting shelves nationwide so I can get my hands on a few cans to give it a try myself to see if it lives up to the hype. How will it compare to the legendary Thunder Dew? Why didn't the marketing people at E & J Gallo contact me to help spread the word? It never ceases to amaze me why they don't promote their cheap products more. Stay tuned to bumwinebob.com for more as this story develops. We will get to the bottom of this! 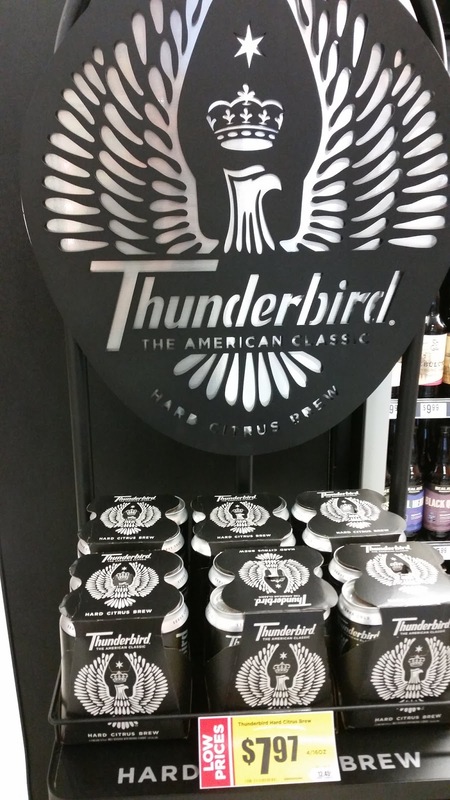 Have you had the chance to give the new Thunderbird Hard Citrus Brew a try? Tell us your thoughts about it in the comments below or hit me up on the Twitter machine! Cheers! **UPDATE** I GOT MY HANDS ON THUNDERBIRD HARD CITRUS BREW! CHECK OUT THE REVIEW HERE! Listen to "2017 BWB Battle Of The Booze Preview" on Spreaker. Should be out now but only being distributed to the southwest for now. (Not sure the exact states.) I work for Gallo and we just had a release tasting today. 8/10/16 I'll say this.... It's actually pretty good. It's not like the old stuff. Much better. Could be a great summer drink. I strongly suggest you try it when you see it. I plan to drink more. Get the team over at Gallo to send a few cans my way to we can get an official bumwinebob.com review! Tell the marketing department to hit me up so we can work on getting this stuff promoted! Its only available in the test-market of Austin, Texas for now. We got to try it at a promotion recently, its good! Refreshing grapefruity, made of malt. Sounds like if it goes well it will go nationwide.